For decades homeowners have used blinds and shades for privacy, security, design and heating reasons. If you don't have motorised blinds there is usually a routine of going round every window, fiddling with cords, tying back string and then repeating that if you want to raise or lower the blind a fraction. Wouldn't it be great to have motorised blinds with remote or app control? The biggest downside of upgrading to motorised blinds has always been the need to have power and control cabling installed at every window. This is an expensive outlay before you've even budgeted for the blind fittings and fabric. We've found the ideal product for homeowners who desire motorised blinds without the additional labour usually associated with them being installed. QMotion UK. Power for the blind is provided by standard, readily available D cell batteries. 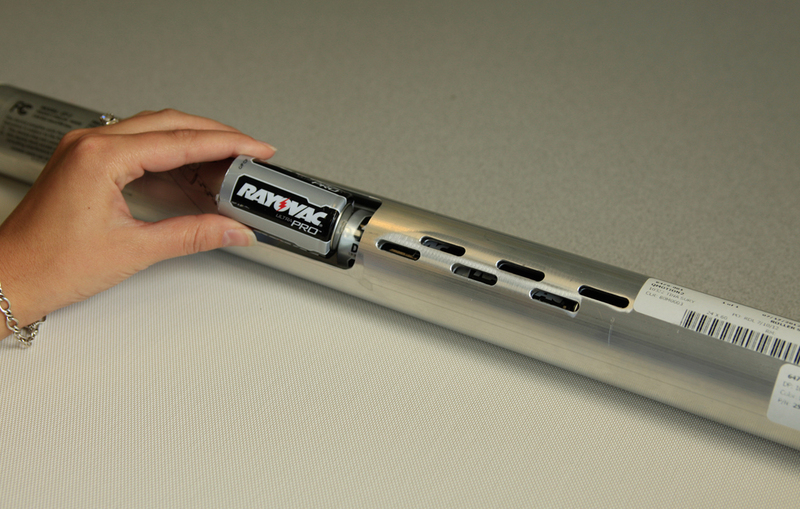 Due to the special counter balancing springs installed within the roller tube itself, the batteries provide up to 5 years usage based on an average four daily fully raise/fully lower movement changes. The blinds have quiet motors and a unique manual override function. They also come with a motor which automatically works out where the stop, start and intermediate positions are in the window. The QMotion UK fabric range has many fabrics that have been designed by British based textile designers, thereby embracing good design for the home and functional fabrics for the office. All the fabrics have all been specifically designed for use on roller shade systems giving you the assurance you need that your QMotion UK shading system will deliver on the look that you want to create for your window. We are pleased to offer a free home visit to demonstrate the blind functionality, highlight the multiple fabric options and measure up for your quotation. Customised are authorised QMotion UK distributors and installers. Call 01508 528 964 to arrange your free home visit.